The journal is devoted to presentation of issues of employment, organization of performance of employees today and in future, transformation of working processes and work in general. 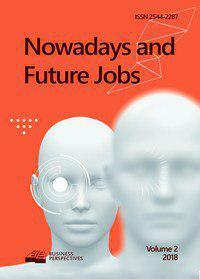 Attention of editorial staff is given to publication of original papers on such key problems: tendencies of development of labor markets, changes in structure of employment of population, problems of firing a significant number of workers of industrial enterprises (including “white collars”) and state agencies; appearance of new professions and transformation of the existing ones under influence of technical progress and changes of social and economic nature (demography, change of lifestyle, change of needs of population, etc. ); migration of population for study and during it, migration of highly qualified workers, forced migration as a result of war conflicts, political, natural and other disasters; changes in the system of training of workers of different professions, reaction of universities for necessity of formation of new competences among students, change of system and syllabus in universities, online-education and self-education; transformation of a notion of workplace, use of information technologies in its creation and organization, online-work; change of system of payment for workers’ labor, change of structure of incomes and expenses of organizations, innovative nature of marketing activity of organizations; transformation of organizations and organizational structures during change of scope of work at main professions and appearance of new kinds of works, provision of communications in new forms of manufacturing organization and services provision, new principles, functions and methods of management of organizations and in organizations.